Germany is numbered among the leading nations when it comes to travelling and thereby constitutes a notable target group for your company. In order to exploit Germany’s full potential, you require direct marketing concepts oriented towards your target group, but no ready-made solutions. 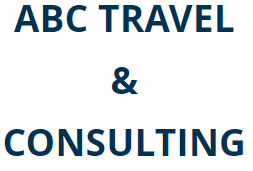 ABC Travel & Consulting provides you with a customized and distinctive representation of your business. Consistent communication and continuous assistance with booking requests put the finishing touches to our portfolio.